Built in 1954, this aircraft served as a cargo and personnel transport. It was bought by the National Warplane Museum in 1984 and it restored and flown until the NWM moved to Elmira. 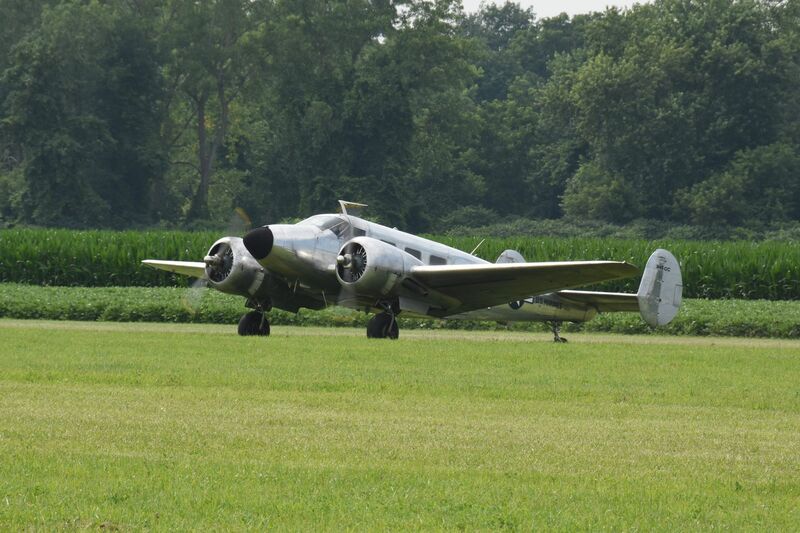 The aircraft was put for sale in the summer of 2006 and purchased by two members of the 1941 Historical Aircraft Group Museum. It was flown to Geneseo in the first week in August 2006, under a temporary flight permit. During and after World War II, over 4,500 Beech 18s were used in military service—as light transport, light bomber (for China), aircrew trainer (for bombing, navigation, and gunnery), photo-reconnaissance, and “mother ship” for target drones—including United States Army Air Forces (USAAF) C-45 Expeditor, AT-7 Navigator, and AT-11 Kansan; and United States Navy (USN) UC-45J Navigator, SNB-1 Kansan, and others. In World War II, over 90% of USAAF bombardiers and navigators trained in these aircraft.